A week later and just now getting a chance to sit down on this beautiful, cool morning to write about what I enjoy most, disc golf. Although arguably a better morning to be out on the course, it was important to me to get this post up as promised on our Dogleg Facebook page. Two months ago I posted about an upcoming Vibram Birdie Bash being held at Hunter Memorial Park in Douglasville, GA. Well the time finally came last Saturday, March 21 as our four-man crew made the trek down to Douglasville. 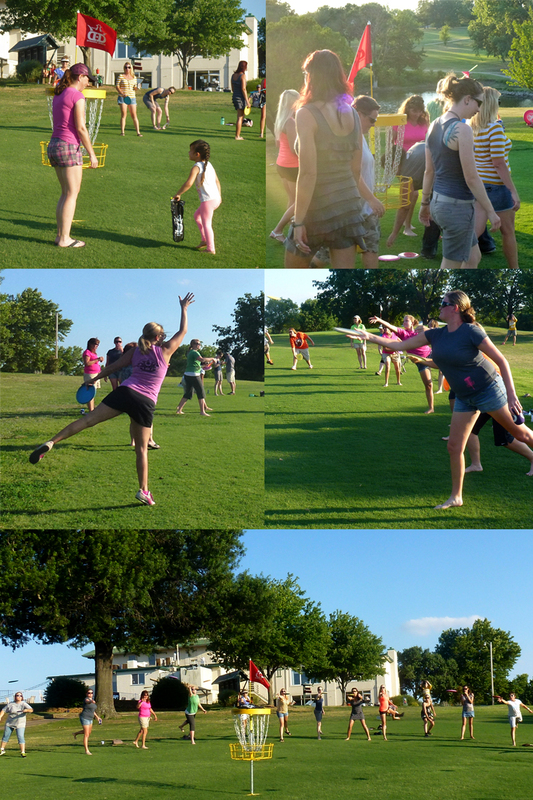 Not knowing quite what all to expect, it was all of our’s first time to play in a Birdie Bash and boy were we excited! I like to think we’ve got a pretty solid, standup group of guys—Daniel, Rick, Sean and myself. Our four group plays regularly together on the weekends and an occasional weeknight. We try to select tournaments that we can all make and feel like it’d be a fun time. Although this was actually only the second tournament that all four of us had been able to participate in together since forming the group less than a year ago. I enjoyed our hour-long carpool down to D’ville last weekend talking disc golf and even strategizing for the Birdie Bash, haha. We had questions about how players would be split up amongst the cards for the first round and whether or not our 2-disc choices would play to an advantage. Of course it would be fun to all play on the same card the first round, but could that be a disadvantage to each of us four? Based on how we were thinking the point system worked, could we potentially be stealing points from one another? For example if no one scores on a hole, then the point goes to whoever landed closest to pin. Then we tried to figure out if our odds would be better if we played on different cards the first round in hopes to score similar and get paired together for second round. As much as we each love disc golf, we take it serious as well. All while having fun, of course! Speaking from previous experiences in other tournaments I’ve played where you play with the supplied discs, it’s always good to get there as early as possible to sign in, get your discs and practice throwing them. The discs always seem to fly differently than what you expected or used to. So I highly recommend getting there early enough to get your discs and take them out on a couple of holes to practice. Learn how they fly. Test what they can do and how much arm they can handle. It sure helped me in our ~45 min. worth of practicing Saturday throwing the new discs before the start. I had thrown a Lace before, but not one that was in the weight range I chose. This one was a bit heavy and a little bit more overstable than what I’d thrown before. My other disc choice was an Obex which is an overstable, long glide midrange. I had never thrown one of these before either, so I’m glad I got out there and learned its flight path and how to control it to get it to work like I needed. 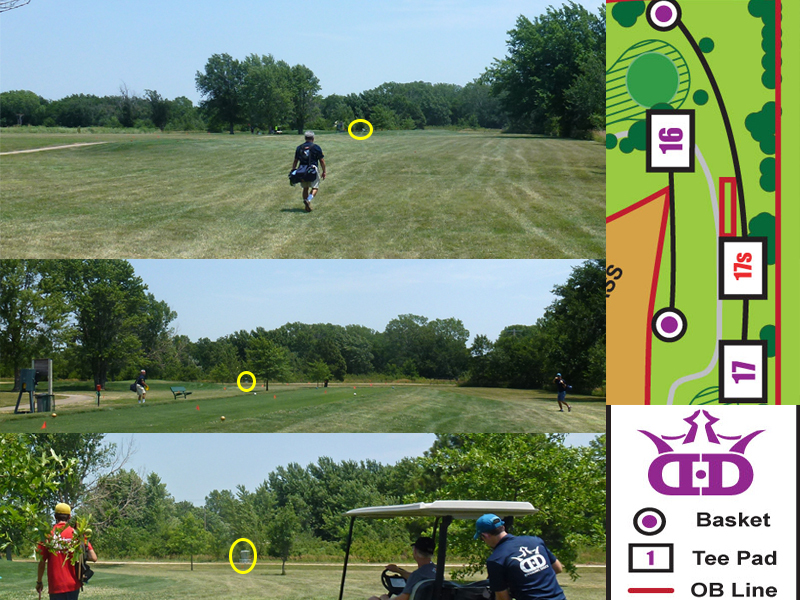 We got there really early and was able to get in a few holes with our regular discs to warm up. As soon as the tent opened up, we signed in and got our Vibram swag packs with our discs. I actually appreciated how the swag packs were already put together with the discs already in there. I’ve been to other tournaments where the line gets backed up with everyone carefully choosing their disc weight and color—it takes forever. So I liked the simplicity of the pre-packaged swag packs. The swag packs come with the two discs you selected back during online registration, a tshirt, two stickers, playing cards, and a Vibram rubber coaster. Note: The water bottle is not part of the swag pack. I’ll mention that later. [see pic]. One thing I freakin’ love about Vibram discs is the awesome, tie-dyed swirled patterns in the discs. Check them out! I went with a 170M Lace and a 167M Obex. I prefer the X-Link Medium which is Vibram’s original and most popular material. The players’ meeting kicked off with the introduction, “brief” rules, group pairings and scorecards were handed out and then we were off to our starting holes. One thing I didn’t like was that I felt like the scoring instructions, penalty scenarios and starting rules weren’t as clear as they could have been or the OB rules which weren’t mentioned at all. For example, it didn’t come up until we were halfway to our start hole that we had no idea when we were supposed to start. TD didn’t mention if it was an airhorn start or at a specific time. We were at the furthest hole from the tent too. Also, TD never mentioned the OB rules (later covered prior to second round). Do OB rules apply in a tournament like this? What’s considered OB at this course? etc. I know the scoring rules were on the back of the scorecard, but I felt there was still confusion in a few scenarios that weren’t covered on the card. However, I did like the fact that the TD gave out his phone number to each group and encouraged any player to call if there was a question. But to my point, I feel like the scoring could have been slightly unfair or different amongst the groups when there were obvious things that were failed to be covered. Did everyone count OB’s the first round? Did people ignore those? Can the same player get a metal point and CTP on the same hole, or does metal cancel out the CTP? I know not every scenario could be brought up during the first player’s meeting, but I feel like it can affect the scoring for sure. And I understand that a scenario might not arise until it actually happens during the round. So, say they call the TD and find out the ruling.. What now? How do the other groups learn of the ruling? Another group could have encountered the same thing and may have scored it differently. I feel like there’s too many variables that could come up. If one group counted it one way, and another group a different way…the points are now different. You see my point. The first round, players were divided up in alphabetical order by their first name unless you had requested to be grouped with other players during the online registration. That was one thing we learned that we didn’t know about. We might have requested that if we had known during the online registration process. But it was cool though, it allowed us to get paired with others and meet new faces. By the way the names fell, Rick and Sean ended up on same card. I really enjoyed meeting each player and getting to know them a bit more as the round progressed. The first round I got paired with Mark, Michael and “Bull”–all fun guys to be around. I did have a rough start and even took me several holes to score my first point, ugh. But I did better later that round once I was felt more comfortable with my discs. After talking to the guys after the first 18, it sounded like we all had a weak first round. They gave us about a 1.5 hr lunch which was nice–plenty of time to grab some brews down the road. Ya know, loosen us up for the second round. The second round pairings were based on the scoring of the first round like most all tournaments. First round I had 13 pts and Daniel had 12, so we got paired together with Brian and Will. The second round I was on and already doing leaps better than my first round start. It was also nearly 20 degrees warmer the second round, so I felt more in my element with it being short-sleeve weather compared to our cold morning start. 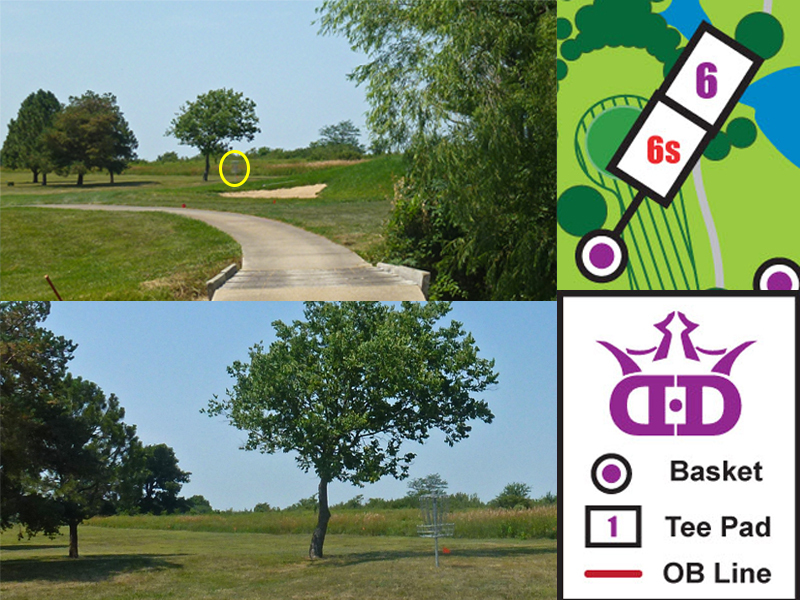 My group started the second round on Hole #16 and two holes later I ended up winning the second round CTP on #18 [see pic]. That CTP win is how I got the aluminum Vibram water bottle seen in pic above. I ended with 18 pts the second round which was enough for a T-5th place finish of 31 pts. All in all I had a great time at the Bash and would recommend it to anyone, regardless of skill level. It’s fun getting out there, trying out new discs, enjoying the Spring weather and meeting new people. I plan to play in next year’s event too at a different course. My hopes would be that the rules will be more in-depth, OBs covered, and just explained more clearly to keep scoring fair amongst the cards. Check out Vibram’s Birdie Bash Locations to see when/where the next one is closest to you! Congrats to Zach Haynes for the Hunter Park Vibram Birdie Bash win–pulling in a total of 44 pts! Great shooting. The birdie bash was great. The format really allows players of all skill levels to have fun. I had never thrown a Vibram disc before the tournament. 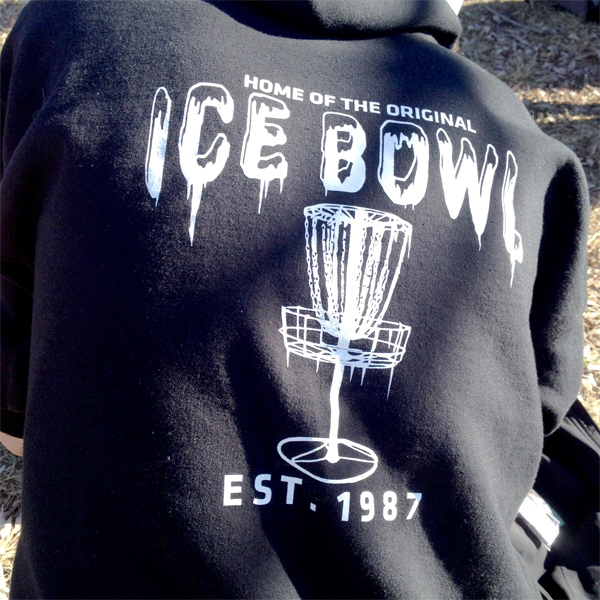 I was impressed and they will definitely have a spot in my bag going forward.” –Sean C.
It was my first Birdie Bash, first time throwing Vibram, and only second tournament. My biggest highlight was the player packs. I was able to add the Lace and Ridge to my bag. The Ridge is now my go to putter. The point’s system was new for me. But, it was easy to understand once you started playing and kept the tournament competitive regardless of skill level. Overall, I had a good time and learned a few things. I’ve been playing for right at one year, and this was my first birdie bash. I thought it was a really cool way to play a tournament. Haven’t really thrown Vibrams before, but really loved the discs we received. The disc material felt great and the look was cool. Everyone was given brand new discs which really leveled the playing field. The scoring method also helped everyone playing be competitive. Really enjoyed the bash! 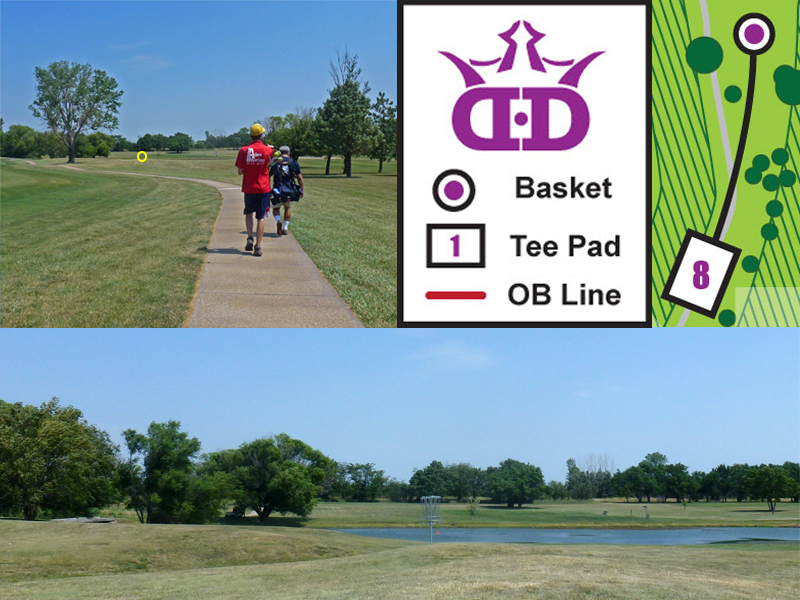 Hole #11 Drive – Overshot basket on big dogleg right. JT walking away with Hole #18 CTP Prize. Disc Selection: If you’re not familiar with Vibram discs or have never thrown one, check out their flight paths and compare them to the discs you’re comfortable with on sites like Inbounds Disc Golf Disc Comparison. This might help you select the right Vibram disc that matches your own. Remember, you only get two Vibram discs to play with. Think about the course, the lines. Choose carefully. Disc Material: Vibram discs come in X-Link Medium and X-Link Firm. The medium is the most popular and original material by Vibram. The medium has more of a grippy service, gets less skip, and more of a slightly flexible nature. The firm is a stiffer, less grippy rubber compound that cuts through the air and can get more ground skip. Online Registration: If you’re wanting to play on the same first round card as your buddies, request that in the comments field of registration. If you don’t, you might end up getting paired alphabetically the day of. Arrival to Tournament: Get there early! Sign in and get your swag packs as soon as they start handing them out. You’ll want to get in the extra practice and test out your new discs before the tournament starts. Walking the Course: Be sure to walk as much of the course prior to the tournament. At ours, there was a few holes that the teepads were moved up on to lessen the difficulty. These were previously very long Par 3’s. Yellow flags were used to mark the closer “teepad” area. Start figuring out your lines from these new positions. Players’ Meeting: Make sure the TD covers all rules, scoring and goes over what the OBs are. Not everyone has played that course before. Be sure everyone’s clear. You ONLY get a CTP point within your group if NO ONE else scores a point on that hole. For example, if someone hits metal and you have the CTP, you don’t get the point. Their metal hits cancels out your CTP. Most importantly, HAVE FUN! Meet new people, learn new things. Teach others. Have a positive attitude. Strive for that Spirit Award! Hunter Park’s Vibram Birdie Bash made the local news. 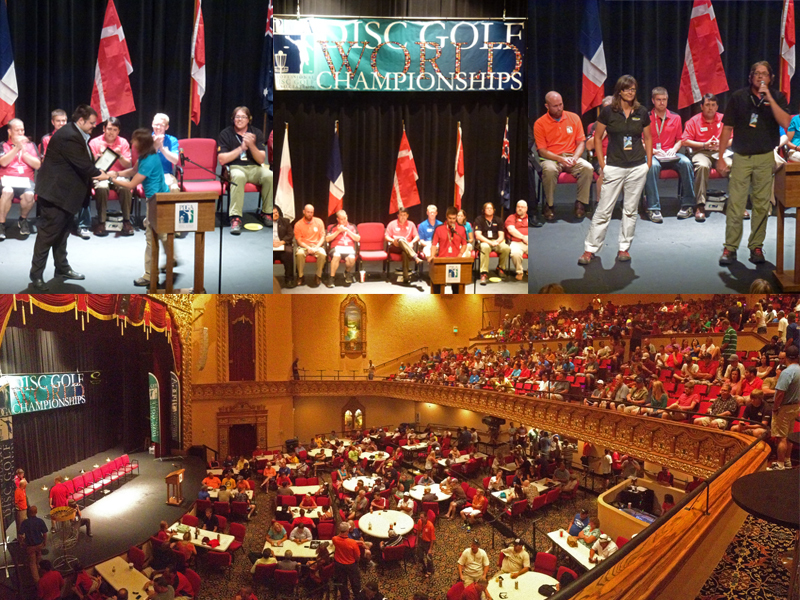 – Dogleg JT in the red shirt. I don’t know how often you guys troll crowdfunding sites such as Kickstarter.com which allows backers to pledge funding to creative startup projects. These projects typically offer backers tangible rewards and/or special experiences in exchange for the pledge. Kickstarter’s a platform to help bring creative projects come to life. There is ALL kinds of clever and innovative, cool stuff on there! But back to my point, I do browse through Kickstarter’s site quite often and search for disc golf-related projects. 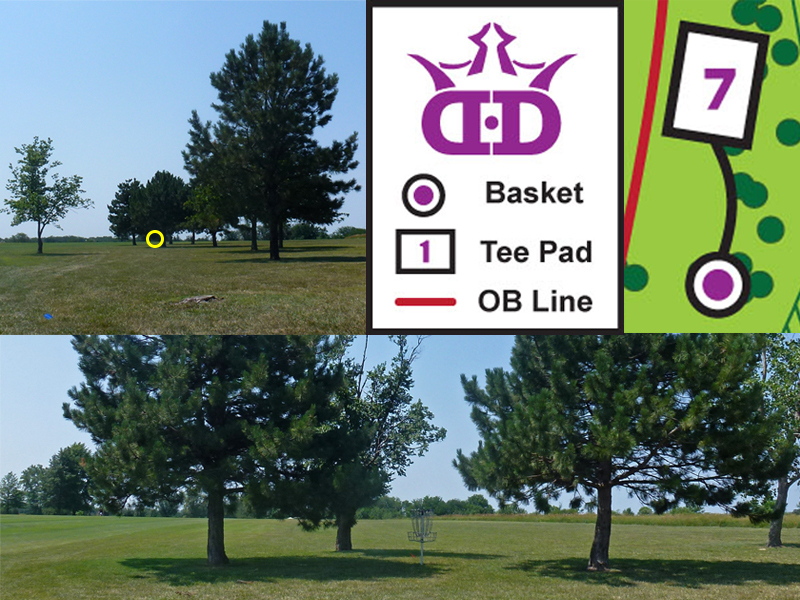 Currently on Kickstarter, there are nearly 30 “disc golf”-related projects that show up in search results dating back to 2011. However, only one of those projects is currently active and it’s the one I really want you guys to check out. Introducing PING, the world’s first trackable disc golf disc! 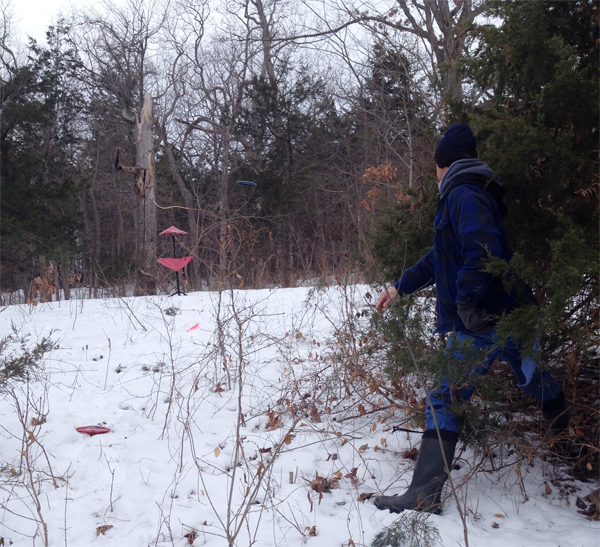 Have you ever lost a disc in the woods or spent hours on end stumbling through briars and mud looking for you disc? Well, check out the PING disc from Tobu Discs. Claiming it’s the first trackable disc, this disc has a built-in, underside compartment that states it does not affect the disc’s flight path and also completely waterproof. The disc pairs with the bluetooth on your iPhone or Android phone along with their free Tobu app. 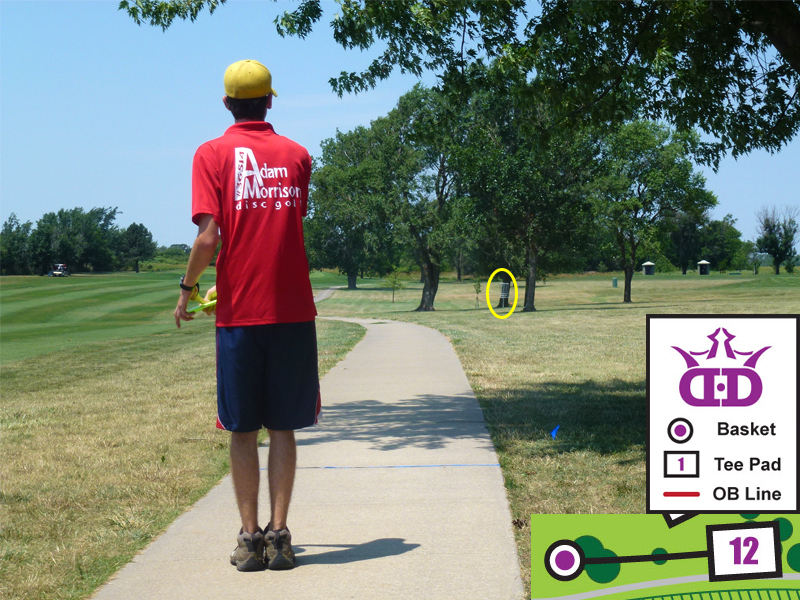 The app—specially designed for the Ping—will help lead you to locate your disc once you start walking in the direction of the thrown disc. The PING disc will automatically begin to beep and flash once it’s thrown too! 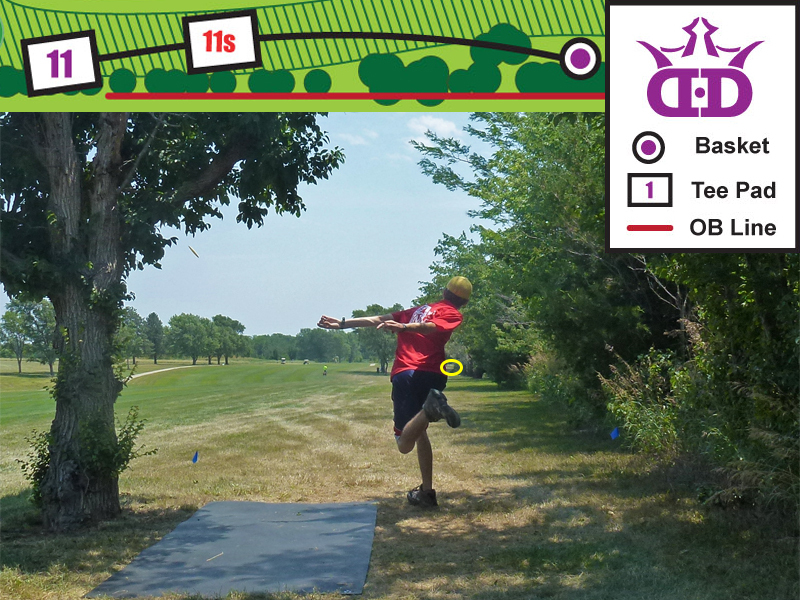 The app also lets you search for other courses in your area, view course maps using your phone’s GPS, rate courses, create/submit your own courses, track you and your friend’s scores, and even measure and record the distance of your throw. There’s a lot more to it as well. I don’t want to spoil it here, so get over to the PING Kickstarter campaign and learn more! The project’s campaign only lasts until 3:00pm EST this coming Thursday, February 5th 2015. Pledge them! With Spring fast approaching (as well as two feet of snow! ), it is time to look into the Vibram Birdie Bash. In addition to improved prizes and more streamlined admin for TDs, we have added in a Vibram Birdie Bash World Championship. 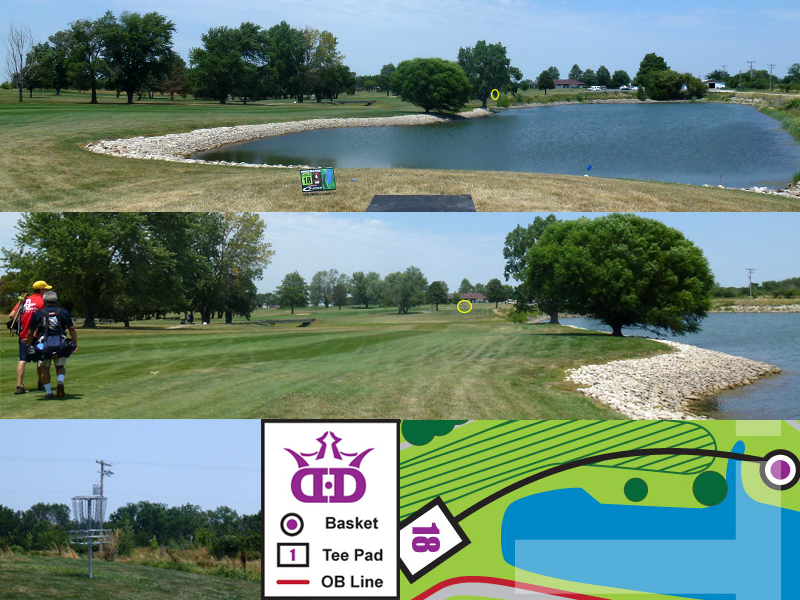 http://www.birdiebash.com/championship.html. The VBB World Championship is happening the weekend before Am Worlds at one of the Am Worlds courses. It will be broadcast live by Terry Miller and Smashboxx TV, and all VBB TDs and VBB winners are invited to attend. 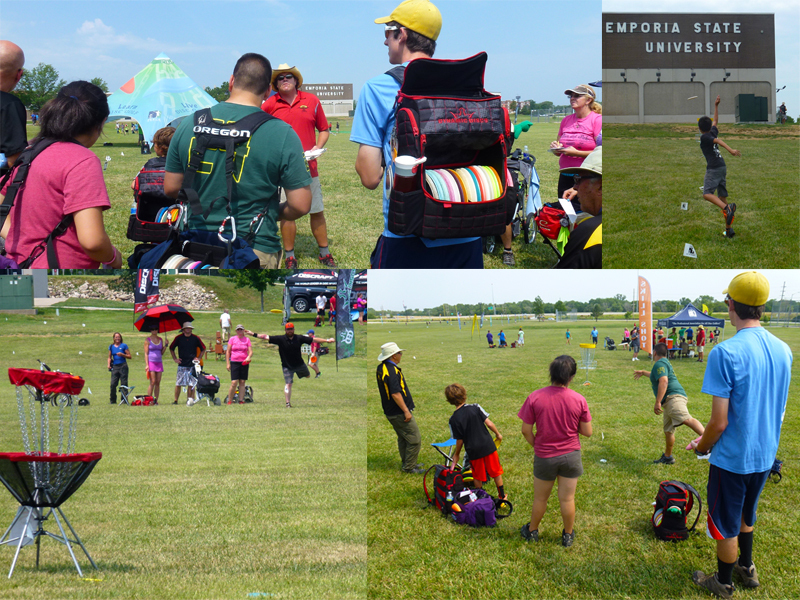 The VBB is geared towards bringing non-tournament players into organized disc golf as well as creating the next generation of Tournament Directors. 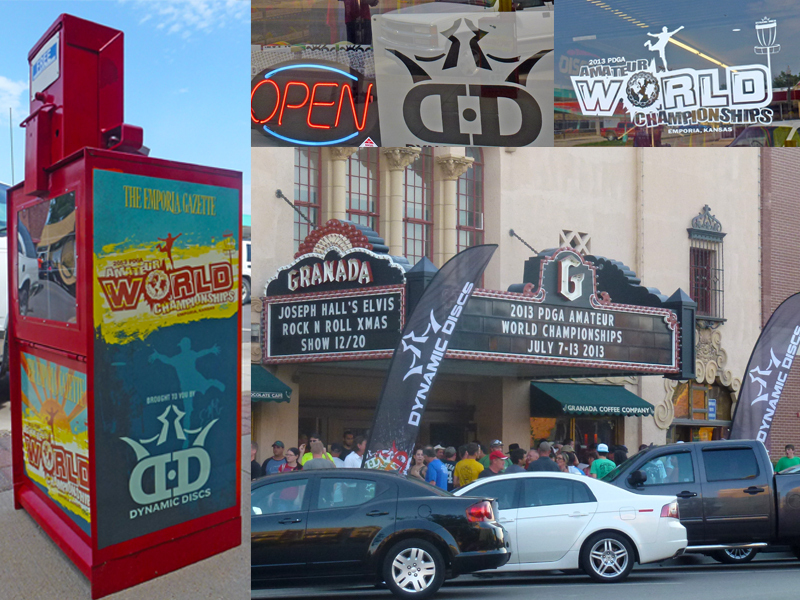 By design, the events are easy to setup and run. We also emphasize the culture of the disc through our Spirit Award. What is the Birdie Bash you might ask? 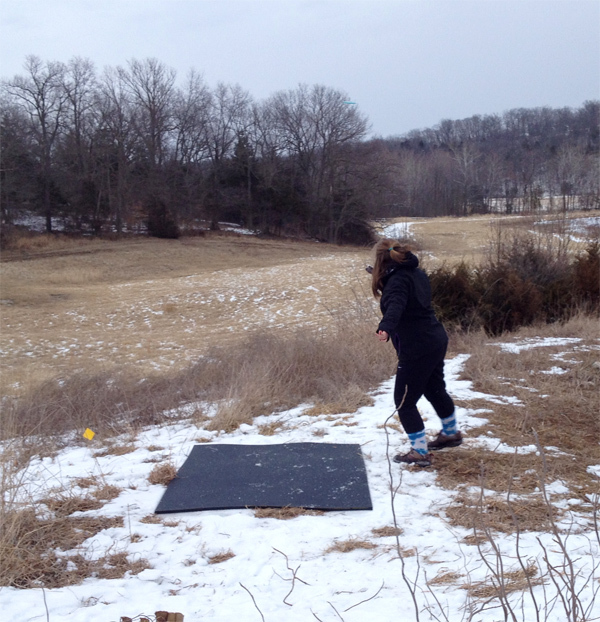 The Vibram Birdie Bash is a two disc/two round tournament where everyone throws one shot less than the par for that hole. Eagles are worth five points, birdies two, and metal hits count as one. 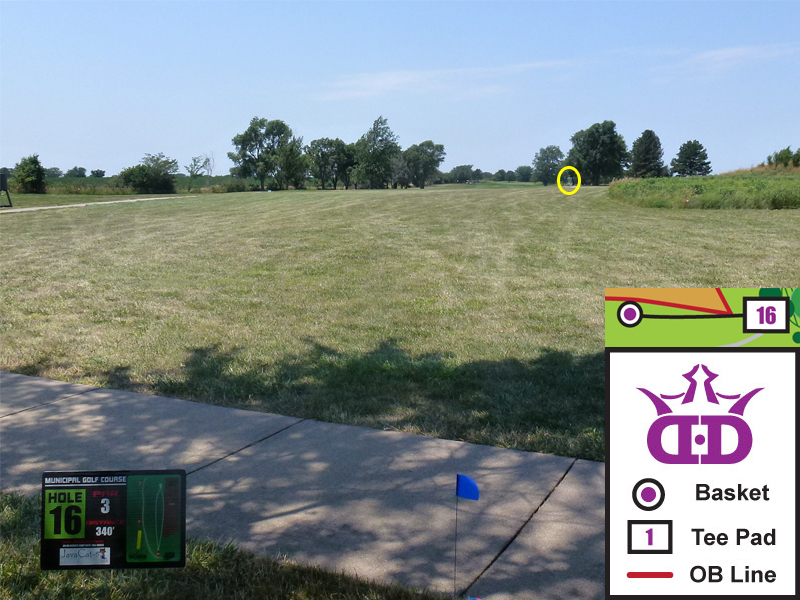 If nobody in the group scores on a hole, the CTP after the final throw gets the point. Birdie Bashes run from February 28th to May 31st this year. You MUST pre-register online to sign up for the event. Check out the Birdie Bash Event Finder here to see which events are happening closest to you. For those of you here in Georgia, as of right now, there are two approved so far for this year. The first one will be hosted at Patriot’s Park DGC on March 8th near Augusta and the second will be later that month on the 21st at Hunter Memorial Park in Douglasville. Only $30 gets you signed up and a player pack (valued over $60)! What kind of swag is there this year? Extra Prizes are Possible: The TD will award these extra prizes however they want! Looking forward to seeing you guys out on the course! DOGLEG BLACK FRIDAY GIVEAWAY ($50 value)! 1. 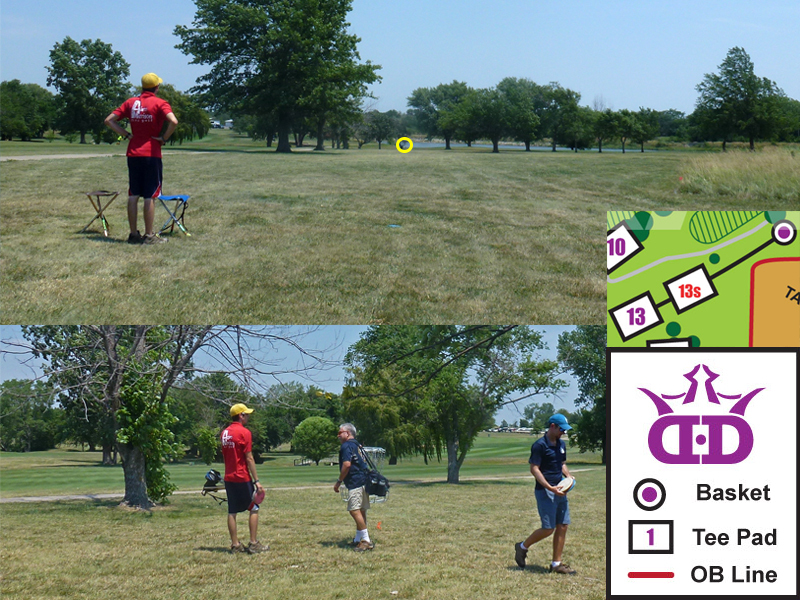 Must “LIKE” both facebook.com/DoglegDiscGolf and Zen Disc Golf facebook pages. 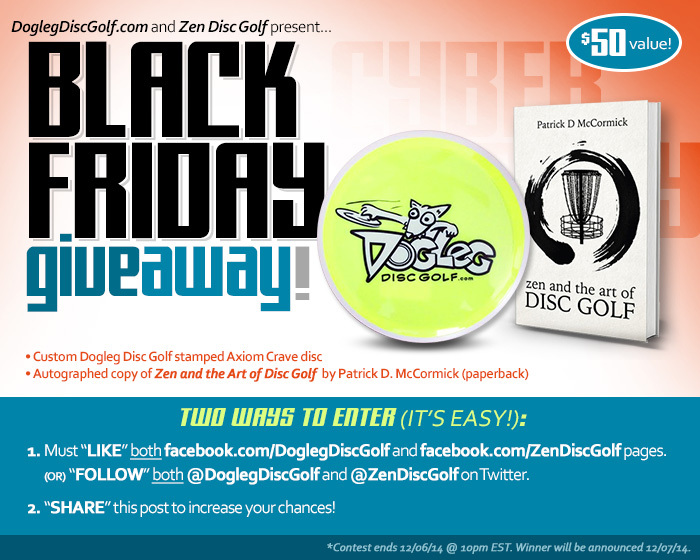 (or) “FOLLOW” both @DoglegDisc and @ZenDiscGolf on Twitter. 2. SHARE this post on social media to increase your chances! *Contest runs until 12/06/14 at 10pm EST. One winner will be announced 12/07/14. Unfortunately I have some sad news to share. This is not going to be my typical, lighthearted or pun-filled style of post. It is a tribute, a special dedication, to Destin Walch who passed away this past weekend. Destin was a very close, personal friend of mine and fellow Doglegger to the blog. Allow me to share some of my memories as we take a moment to remember Destin. It was around 10am this past Saturday morning (Nov. 1) that I received a phone call from the wife of a very close, dear friend of mine. The type of call you never want to receive. She told me that Destin didn’t make it—that he had passed a few hours earlier. I got very quiet, I could barely speak. I lost it. I could not believe what I was hearing—no, not Destin, surely this couldn’t be happening right now. It did and I took the news very very hard.. He had finally succumbed to his 6-month fight with liver failure. Destin was truly a character. He had such an outgoing, friendly personality—the type of person that you enjoyed being around. He had a sense of humor about him that always kept it interesting out on the course. Destin and I first met a little over two years ago stumbling across our blog while searching for disc golf app reviews. He joined the Dogleg crew back in October 2012 and became one of our top bloggers. I remember him talking about how excited he was to find out that we were actually headquartered right down the road from where he was living. Destin had moved down here to GA from Michigan for chiropractic school a few years earlier. I still remember that day I first met Destin in person. 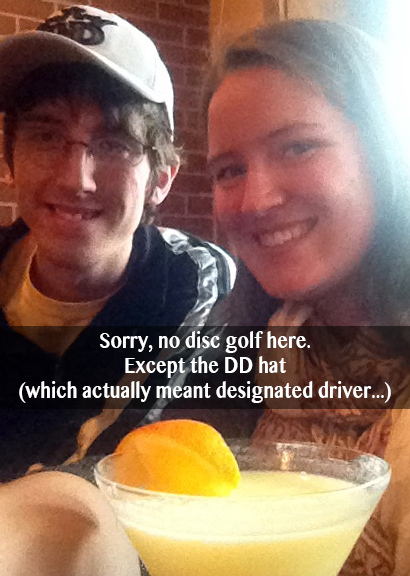 It was back on October 3, 2012 at Oregon Park Disc Golf Course where we’d first met up to throw a round. I remember how excited he was to finally meet up with us. He had the biggest smile on his face when he got out of the car and, haha, literally ran up to shake my hand. We had a really good round of disc golf accompanied with good talks. I knew from that moment on that we were going to get along well and be good friends. He was as obsessed with disc golf at the time as I was–and that was pretty awesome. Destin had a love for the game. He loved talking about disc golf; loved writing about it. The passion that drew him to Dogleg and lead him to write posts for us here at DoglegDiscGolf.com. Destin really helped me grow the Dogleg brand and blog these past two years–especially here locally. He had a passion for writing tutorials for frolfers new-to-the-game, disc reviews, and interesting articles relevant to the physics of disc golf. He helped make several connections to a few larger disc manufacturers and loved reviewing discs they would send us. I went to visit Destin the first time he was admitted to the hospital in late April/May. He had just gotten the then-unreleased Vibram Four20 driver in the mail a week or so earlier. Due to his illness he had not had a chance yet to toss it so he gave it to me to try it out. He would not know that he would never get that chance to ever throw it. That disc would also become the last one he ever gave to me. It has so much more meaning to me now–I’ve already retired it. Even in the two short years I knew Destin, he quickly became one of my closest friends I had made (outside of work) since living here in Georgia. 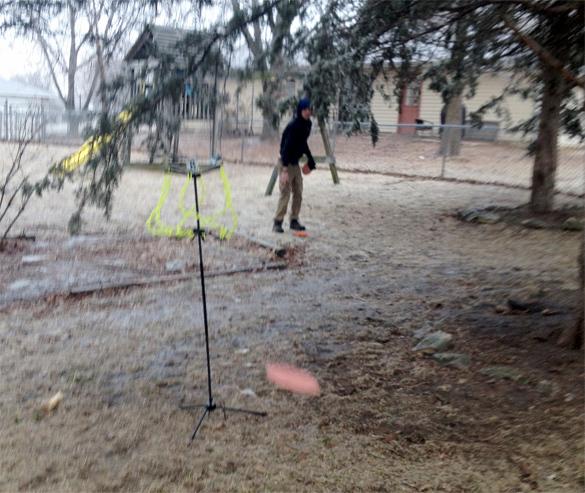 Our friendship grew with a shared passion for disc golf, determined to help grow the sport, the blog, and welcoming any new friends to the game. Destin always jumped at the opportunity to go play disc golf after work and school. Whenever I wanted to check out a new course in the area that I hadn’t played before, he was my go-to guy to call because he rarely turned down an opportunity. He and I both liked buying old discs and trading them or giving them to friends that were new to the sport to get them started. I remember one time we were out at Perkerson Park DGC in Atlanta and met up with this guy that played alongside us. That guy was fairly new to the sport and I remember Destin giving him one of his extra bags to carry his discs in after we finished the round. He was just like that. He liked telling people about Dogleg and the blog and always coming up with ideas on how to expand it. He was such a fun guy to be around—the kind of guy that always made you laugh when he was around. We were very competitive when we played disc golf together. At the time we met, neither one of us had gotten our first Aces yet. Every time we’d go out to play, we were determined that this would be the round. With several close ones brushing the chains, we got to where we started filming all of our throws for every short hole we played—you know, just in case we hit that first Ace.. We wanted it on film. Although Destin never got his Ace here on Earth, I like to think that he’s clanging those Aces up there. I hope—at the very least—he’s playing disc golf everyday. He was an Ace in my book, a great friend. Aside from disc golf, Destin loved music and flyfishing as well. We talked fishing a lot and had mentioned plans about putting together a flyfishing trip. We were even planning a trip this fall with our wives to go up to my grandparent’s lakehouse to fish all weekend.. Destin shared his birthday date with my wife and I’s anniversary as well. I had invited Destin and his wife to our wedding and even thought it was on his birthday, we were very excited that they came. I remember Destin having such a good time there that night. Haha I remember him literally taking my camera and laying on the floor taking pictures and videos of the events. I guess you could say he became our unofficial wedding photographer for the night. If it wasn’t for Destin, we wouldn’t have any video from our wedding.. He took that job upon him out of the kindness of his heart. Full of life, that kid. He was much too young. He saw his 27th birthday in the hospital. He truly will be missed and will be thought of every time I hit the course. I would like to think he’s up there watching down, helping my game or either making fun of every tree I hit on a drive. I lost two friends back in high school (over a decade ago), but never a friend as close as Destin. Later that Saturday that I received the news, I went out on the course here at Legacy Park (last course Destin would’ve played) to reflect on the good times we had. A solo round. Destin sure was a talker, especially when we played. I miss all the good conversations we used to have. This round was extremely quiet though—it was a hard round to make it through. But I knew if he was here and well, he would’ve been out there with me; in search of that Ace. That next day, Sunday, some mutual disc golf friends of mine and Destin’s went out to Oregon Park (first course Destin and I ever played together) and joined me for a Memoriam round for Destin. It was a good time talking to one another and sharing the memories we had of Destin. I felt like he was there with us. Hole #9 at Legacy Park DGC. 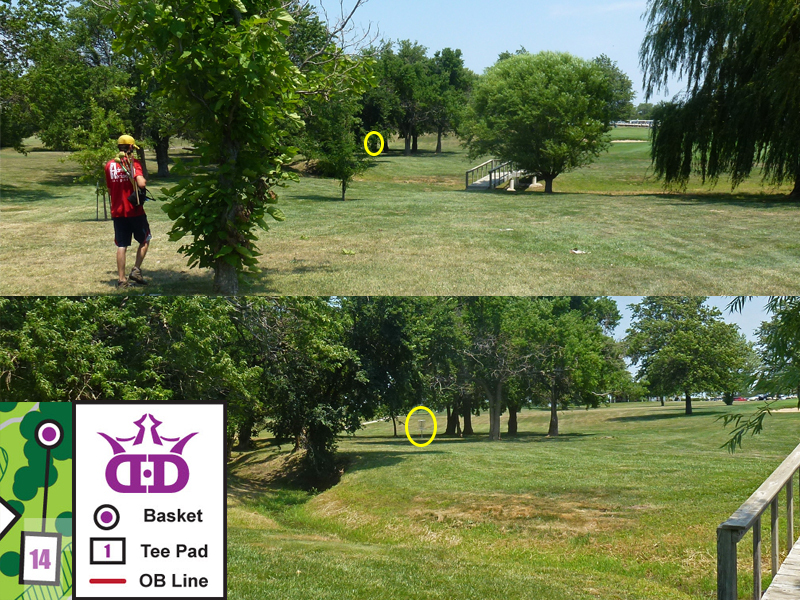 This is the hole that Destin and I used to pretty much empty our entire bags—throwing every disc—in hopes for an Ace. In honor of Destin, I emptied half my bag trying for an Ace later that Saturday. Hole #18 at Legacy Park DGC. After finishing 18 holes, I sat on the creek bank and reflected on the memories and good times we’d had in the two very short years we knew one another. This has been a really hard week on me..it’s taken me all week to get something going. I’ve been fairly quiet online all week for those of you that follow me on some of my other personal social media accounts.. It’s been more of a reflection this past week and realizing how much we actually take for granted. How short a time we actually have on this Earth. How little time we actually have to make the most of our life. Take nothing for granted. Take a moment, look around, absorb how beautiful nature really is. Enjoy every single breath and moment of life, because no one’s guaranteed tomorrow. It can come and go so fast. Create memories that will last a lifetime—that people will remember you by—a legacy. In the short time I had to know Destin, he did just that. How will people remember you? ➥ To read some of Destin’s blog posts here on Dogleg, click here. 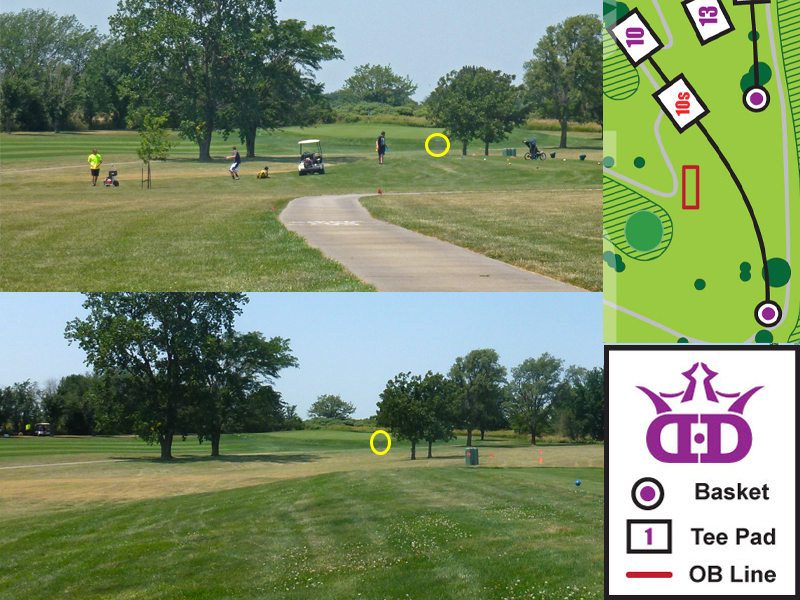 JT & Destin — Walk up to #9 at Wills Park DGC. Think of the perfect restaurant. The food is incredible. The waitresses are welcoming. The prices are great. It’s your go-to with friends and you’re considered a regular customer by the staff. Then, one day at lunch, you find a bug in your mashed potatoes. You’ve been to this place dozens of times with flawless experiences, but chances are, you’re unlikely to go back again because of the one horrible experience. One bad impression simply carries more weight than several good ones. While this analogy may be a little extreme, it is very applicable to disc golf. While in the past I’ve primarily followed amateur players, this year I’ll be watching more professionals. Already in the past month I have been shocked at the lack of professionalism in the professional division, not because unsportsmanlike behavior is rampant, but because the bad examples are more memorable than the players that do everything right. The following three cases highlight the diversity of unprofessional behavior in the Open Men’s division at PDGA sanctioned events that I have witnessed in the last month. The first incident occurred during the first round of a C Tier. While I do not find it uncommon to see smoking at disc golf courses, I was shocked to hear a player say, “So, this is a C Tier, right? What are the rules about smoking pot?” This was obviously not a comment about the tournament rules for smoking, considering this took place in a state where marijuana is still criminalized. The implications run deeper. The player who phrased his question this way was degrading the legitimacy of a PDGA event, essentially comparing a C Tier to any other casual round or league. The second incident occurred at an A Tier. I was watching a professionally sponsored player during a round. As part of this player’s sponsorship deal, they are only allowed to throw discs produced by the sponsor. This player was using discs made by another manufacturer. Can you say false advertising? The third, and most appalling incident, took place at an A Tier as well. The top four players from the Open division were set to compete in a final nine in front of a large gallery. The fourth player was 5 strokes out of third place and decided that, because his place in the top four was secure, he could just “show off.” This “showing off” included rethrowing a putt after missing (more than once), throwing out of bounds three times on one hole because he was trying out his left-handed skills, laying up on 10 foot putts for no reason, and throwing ridiculous rollers that more often than not either went out of bounds or far enough away that it delayed the speed of play. The player verbally acknowledged loud enough so that the gallery could hear that he was just showing off. What may be more disappointing than seeing a high level professional player simply give up during a tournament is that he got away with it. When he received his payout, the tournament director personally shook his hand and thanked him for coming to the tournament. The final nine was rated as a 918, while the player is rated in the 1020s; since it is more than 100 points below his rating, it will probably not be figured in to the next ratings update. The worst consequence the player had to face on that day was a loud, snarky comment from a member of the gallery during his round and a lack of applause when he made his final putt. 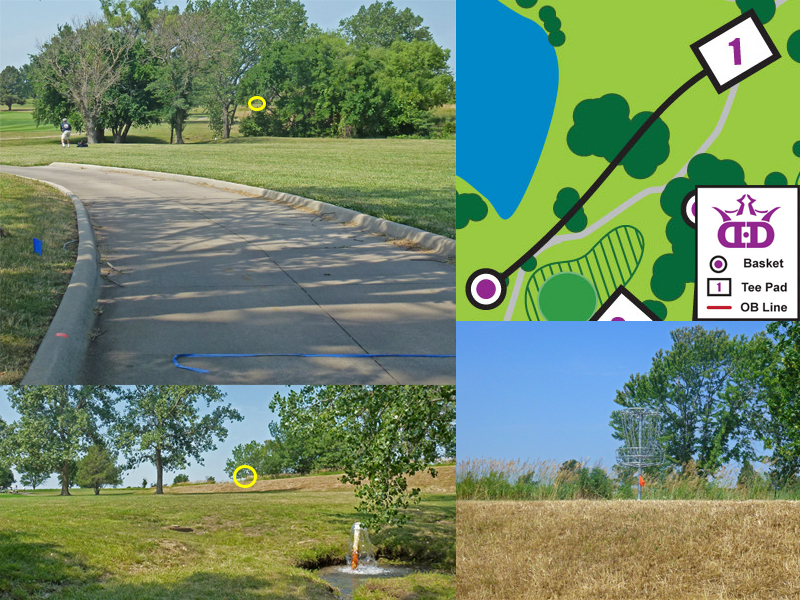 These three incidents are just a few examples of the spectrum of unprofessionalism that occurs in disc golf at all levels of competition. They each have a multitude of consequences and implications for not just the individual players, but the integrity of the sport as a whole. They all make a mockery of PDGA events and professional disc golf. They set horrible examples for new and lower-level players. During the aforementioned final nine, I spoke with an intermediate player who thought the player’s behavior was acceptable because “he’s just having a good time.” Next time that intermediate player is 5 strokes out with nine holes left, how do you think he’s going to play? Those consequences are just assuming that none of these would be bad enough to turn people away completely. An individual may choose to stop (or never start) playing because of the lack of professionalism. Parents and schools may decide it’s not a suitable environment for children in terms of safety or sportsmanship. Big name sponsors that disc golf needs in order to become “mainstream,” like Nike or Adidas, are not going to spend thousands of dollars to sponsor a tournament where these types of behaviors can be spotted at the professional level. Now, let’s move into the future five years or so. Optimistically speaking, there will be cameras from ESPN if we’re lucky, or even just local television stations, at every large PDGA event. Right now players are allowed to think their behavior is no big deal because very few people are there to witness it firsthand. But what will happen when their actions are no longer instantaneous, and they are replayed over and over on YouTube, the news, or just through word of mouth? This is going to be the case very soon at the rate disc golf is growing. My intentions here are not to complain about the things I have witnessed. This is meant to warn disc golfers that unprofessional behavior is not acceptable. Change is necessary, and can come from a variety of sources. First and foremost, the players themselves need to be aware of how unprofessionalism and bad sportsmanship reflects on not only their own character, but disc golf as a whole. Players and officials who witness inappropriate conduct can also help by enforcing PDGA rules, including calling courtesy violations. 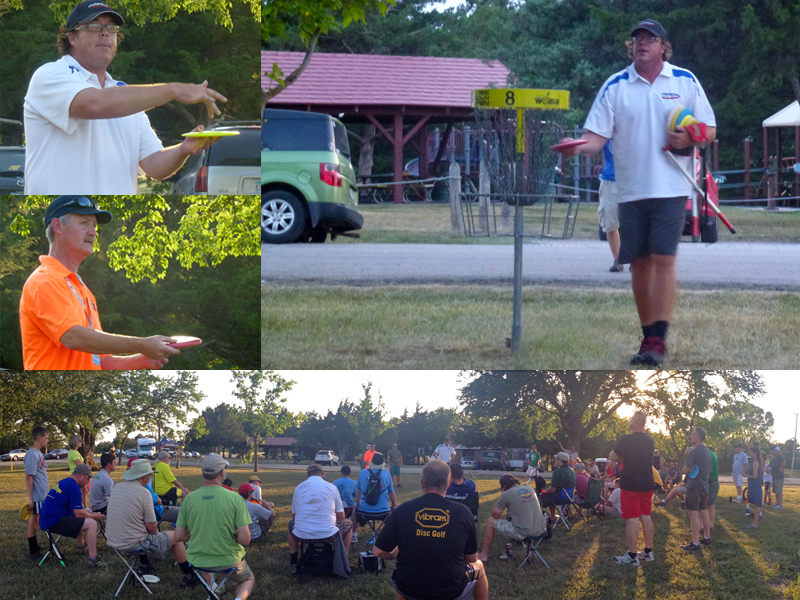 Tournament directors should consider enforcing rule 3.3 of the Competition Manual, which states, “Any conduct deemed to be unprofessional is subject to disqualification by the Tournament Director, and may also be subject to further disciplinary actions from the PDGA.” Finally, sponsors should stop condoning unprofessional behavior by holding their players to higher standards of conduct. Just because someone can consistently throw 1000+ rated rounds does not mean they deserve to represent your brand—in the same way that Nike cut ties with Lance Armstrong in 2012, sponsors need to make sure that their players are not only excellent golfers, but display good character. Until these people are willing to step up and take professionalism seriously, disc golf will continue to have the reputation of a casual game and its advancement will be hindered. 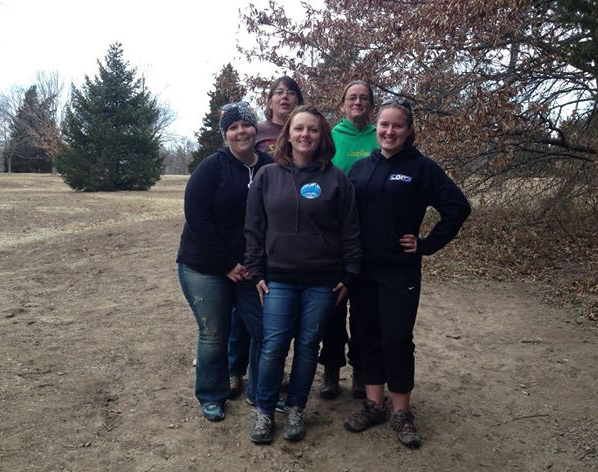 Five ladies competed in the women’s division at the 28th Annual Ice Bowl in Columbia, Mo. 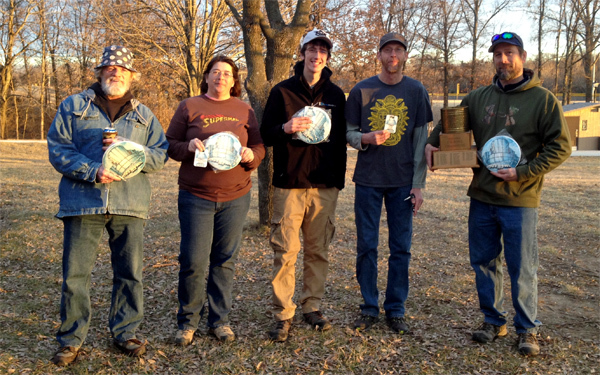 Winners of each division at the 28th Annual Ice Bowl in Columbia, Mo. NOMAD target set up in my backyard while it was too icy to drive to a course safely. 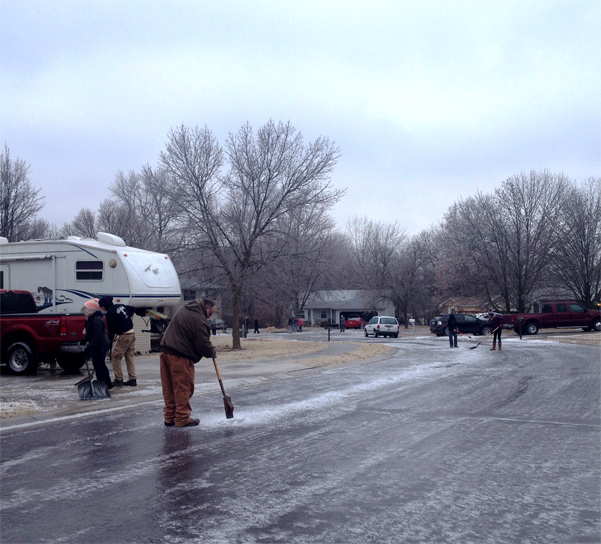 My street covered in ice, and everyone trying to clear it off. Geese on the shore of Binder Lake in Jefferson City, Mo., near their newest course. 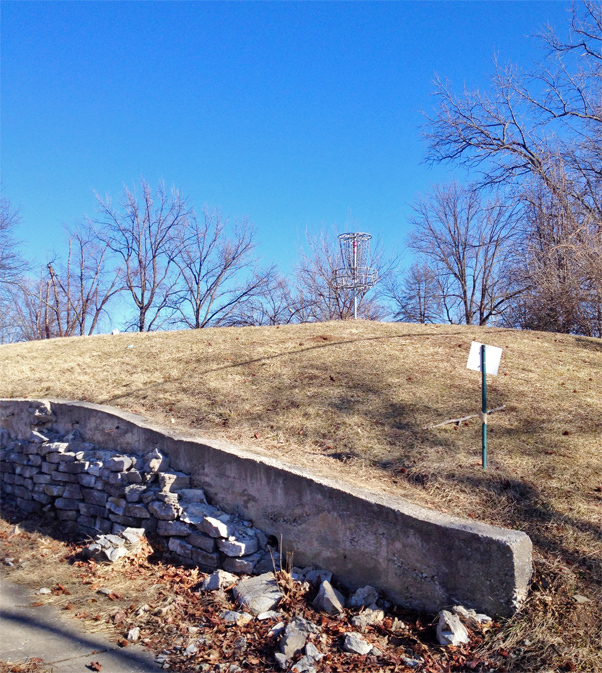 Precarious basket at Carrollton Park in Bridgeton, Mo., a suburb of St. Louis. I am excited to kick off the 2014 year with our first post this year! An interview with Steve Dodge from Vibram! Steve is a continuing supporter of the Dogleg Blog and has worked with us before allowing us to test/review a few new Vibram discs before they hit shelves. We are very fortunate that we could connect with Steve for this interview and learn more about Vibram’s annual Birdie Bash for a Dogleg special. DLDG: Thank you Steve for helping make this happen and for being a part of our first post of the year! I know we’ve got a lot to cover, so let’s jump right into it. So Steve, tell me a little about the history behind the Vibram Birdie Bash (VBB). How did it all start? Steve: I get bored easily and wanted to create an event that was both easy to run and fun and engaging to play. Discraft’s Ace Race was a great starting point, although it was too minimal for me. After a dozen test events in 2012, adding a second throw, a creative scoring system, and counting metal hits for points were the primary changes that made the event universally fun. 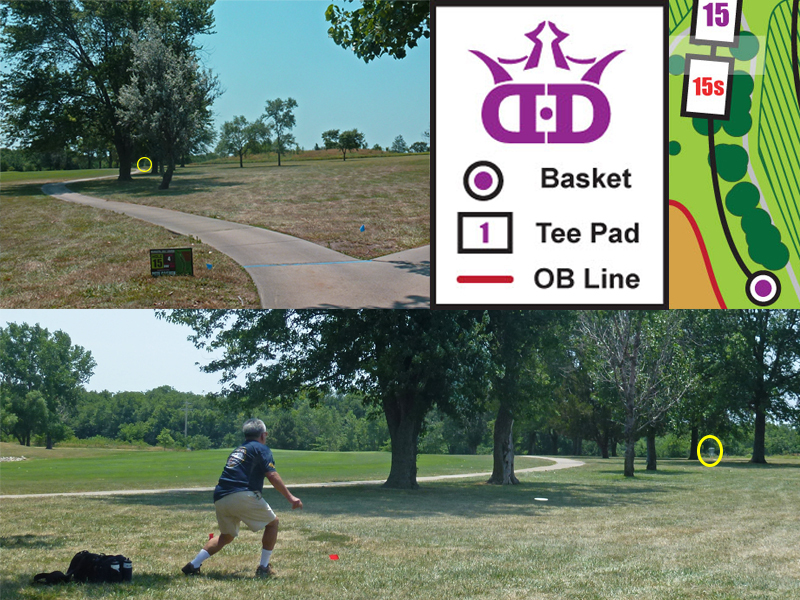 DLDG: What exactly is a Birdie Bash? Steve: In a sentence, use two discs and get two throws per hole. 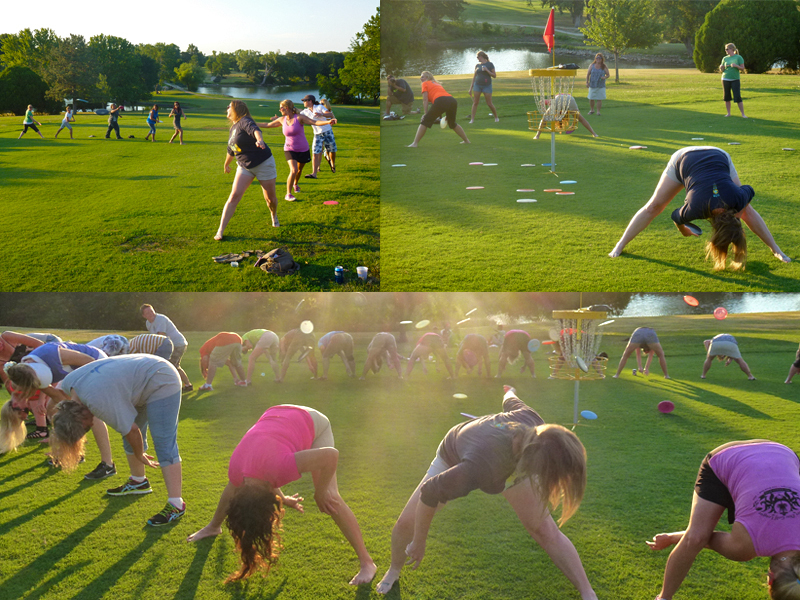 The Birdie Bash format was created to increase the fun of a good shot and decrease the aggravation of a bad shot. DLDG: That sounds like a lot of fun. I agree sometimes Ace Race’s can go by way too quick and it’s either all or none. I like the thought of getting more throws in there to where it’s more of a competitive, strategic game rather than a throw-off. OK, so who would play in a Birdie Bash? 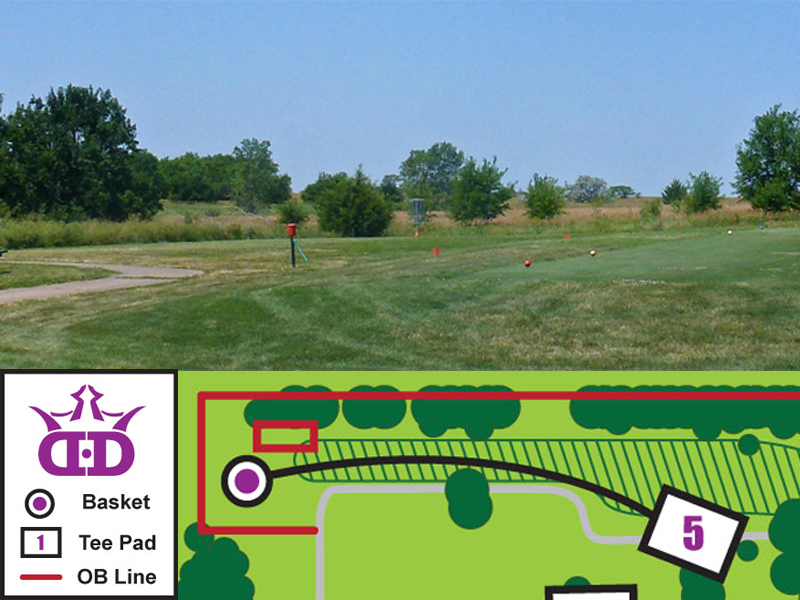 Steve: Advanced and Pro players would play to enjoy a great day of fun disc golf, maybe try out some new discs, win some great prizes, and help teach some newer players how great our sport is. 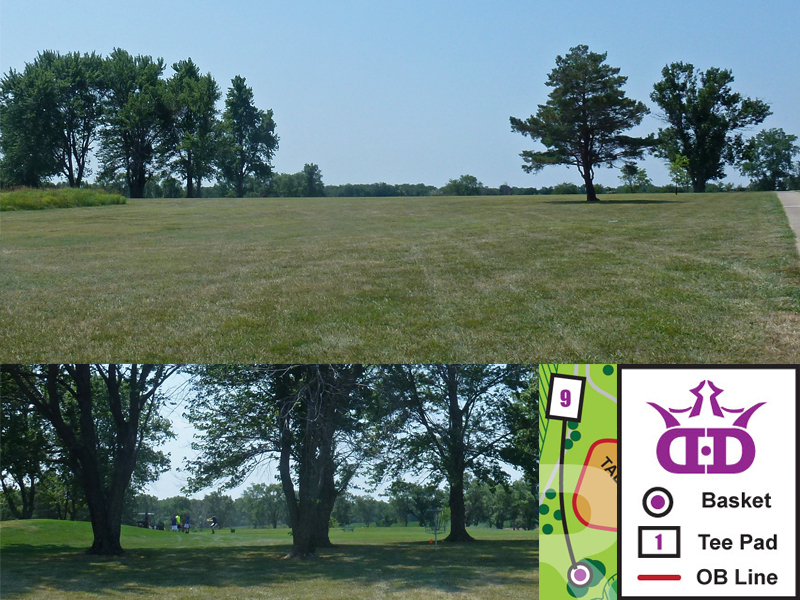 Newer players will find a relaxed atmosphere for one of their first “organized” disc golf events. They will also get some great discs, meet their local discers, and have a chance to win some great prizes. Basically, if you want to have fun, come play a Birdie Bash. DLDG: We all love swag! What kind of sweet gear comes with signing up for the VBB? As well as a chance to win tons of prizes: http://www.vibramdiscgolf.com/players-pack-and-prizes.html. DLDG: I’m liking what I hear! That swag tops Ace Race’s in my opinion! And the Birdie Bash is open to anyone, right? DLDG: I heard that anyone can be a TD for the Birdie Bash too, is that right? Is it really that easy? Steve: Yes! We have a document that does a step-by-step including prep work, day of, players meeting, getting sponsors and more. It really is a Tournament-In-A-Box. DLDG: Oh wow, yes that does sound easy! I think sometimes the overall impression about being a first-time TD can be fear of inexperience. I think that is awesome that you guys have put that much time and thought into this that does makes it easy enough for anyone to be a tournament director to run a Birdie Bash. Now do Birdie Bash tournaments occur during a particular seasonal timeframe or do they go year-round? Steve: The VBB events are held each Spring. This year they can be held anytime from March 1 to June 1. DLDG: I know Dogleg has some international readers that might be curious, is the Birdie Bash available outside the US? Steve: Yes, although not everywhere yet. We are expanding it to Canada, the UK, and the EU. We shut registration a week earlier and charge a little extra for shipping. If it works well, we will expand to Asia and Australia in 2015. DLDG: Tell me about this Spirit Award. What is that? Steve: Spirit, or the culture of the disc, is the reason that I want to grow our sport. In short, the ability to compete with honor and respect is what Spirit is all about. This year, we are introducing a Spirit Award which is given to a player that embodies the culture of the disc. DLDG: I love that idea about the Spirit Award, what characteristics make someone a prime candidate to win the Spirit Award? DLDG: Ok I’m stoked about the VBB concept! Now how can I find out if there’s one close to me? DLDG: Ok Steve, I’ve got to ask. What is it like working at Vibram? Kind of jealous, it must be awesome! Right? Steve: I am very fortunate to not only be working in the industry I love, but to also be able to have an impact on it. 3,500 people played in a VBB in 2013. 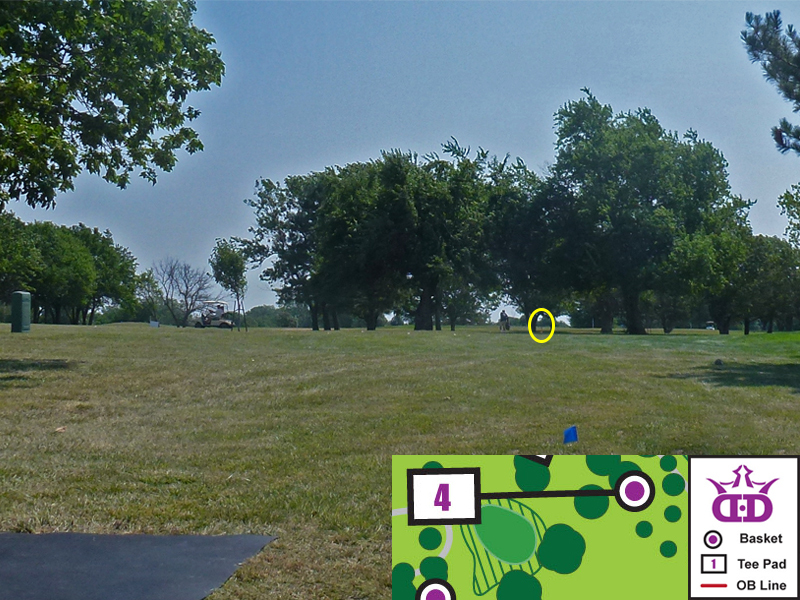 For over 2,000 of these people, it was their first “organized” disc golf event. Additionally, over 40 people TDed their first event. It takes a lot to move an industry and I’m excited to be able to push as much as I can. DLDG: How long have you been with Vibram? What is your position there? Steve: 2008: Vibram sponsors Vibram Open, which I TD. 2009: hired by Quabaug, which manufactures for Vibram, as a consultant for Vibram Disc Golf. DLDG: What would you say your top 3 favorite go-to Vibram discs are and why? Steve: Ibex — it is easy to put on any line and it is forgiving when I don’t put enough pop on it. Lace — this disc allows me to throw 400′ again, something I had lost for over a decade. Summit — 80 feet and in, I’ve got a legit chance to sink it with this slow-speed-friendly finesse putter. DLDG: Can you give us a glimpse of what to expect from Vibram [products] this year? DLDG: Dang! Lol, I figured that’d be your answer. =) No, but we’re really excited for what’s to come for Vibram this year. Several of the guys here at Dogleg are big fans. 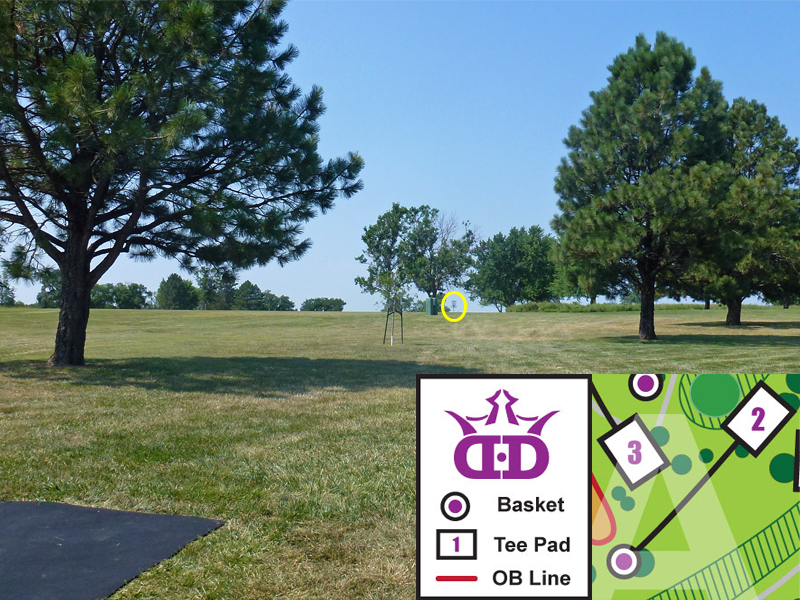 Is there any bit of disc golf advice you would like to leave as a takeaway for our Dogleg readers? Steve: Vinnie Miller once told me, “Brother, this life ain’t long, get happy as fast as you can.” Disc golf makes me happy. My advice, have fun and do good. DLDG: Thanks again Steve for helping us put together this interview. I’m very excited about the Vibram Birdie Bash and hope to make it to one this year! Here in Georgia where the Dogleg Headquarters is located, there is already one Birdie Bash set to take place at Patriot’s Park in Grovetown, GA on May 24th. 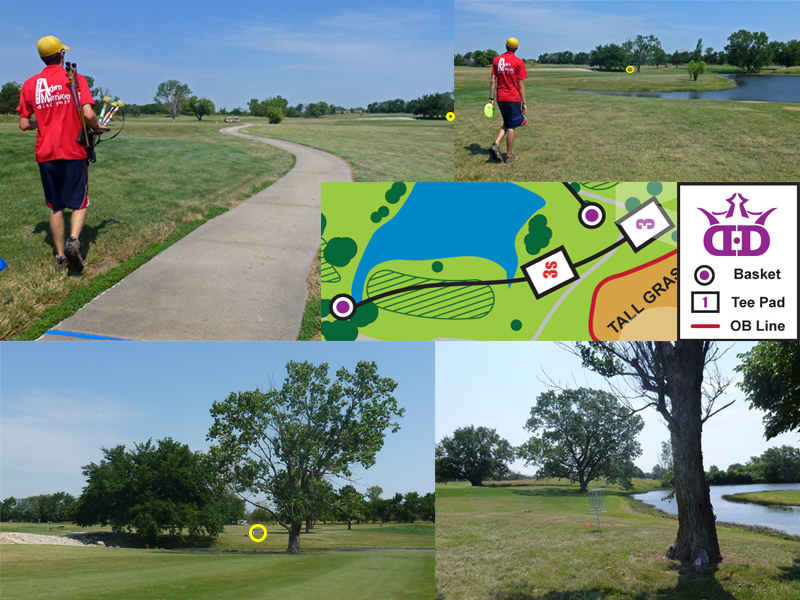 Click to read more on the 2014 Patriot’s Park Birdie Bash. Some of our fellow Dogleg members are helping with a Birdie Bash in our hometown of Jasper, Alabama. They have two dates set already for March 8th and one later on May 24th. Click for more info on the 2014 North Jasper Park Birdie Bash in March and for the 2014 North Jasper Park “Second Session” Birdie Bash that will take place in May. To find out if there is a Birdie Bash already scheduled in your area, check out the Vibram Birdie Bash’s Events page. Want to register for a Birdie Bash? Find your VBB and sign up here. Want to take it to the next level and host your own Birdie Bash? Click here to sign up to be a TD. I know I’m late on this one, but there’s still a week to go! Listen up. You may have been on your favorite social media websites lately and noticed these little avatars popping up everywhere, yes? What the heck is it? Well it’s a contest going on RIGHT now during the month of October! Discraft is giving away 500 copies of their Buzzz this month to help celebrate their 10-year anniversary. » Click here to read the full details and rules. You’ll have to read their contest details to find out all the rules. But in short, you have to select one of their three official bee mascot icons to use as your avatar. Next you have to follow any (or all) of Discraft’s social media outlets. They’ll do 20 random draws from their pool of followers on their social media outlets. So yes, go follow and make that bee icon as your avatar. Help Discraft close out another awesome year as well as their Ten Year Anniversary by following them today! Good luck in winning a Buzzz! Dogleg Update: Where’s the posts?! So you may have been wondering why there hasn’t been any new posts lately. As some of you guys know, I’m getting married in two week! I’ve been in full wedding mode this summer and apologize for lack of new activity on my end on the blog. Lots of planning and designing has gone into the wedding so far and it’s left me with little time to maintain the blog over the past few months. I just wanted to update you all and let you know what’s been up here at Dogleg. No, we’re not going away. Come mid-October when I’m back out on the DG course playing and reviewing, expect lots more reviews and posts. We’ve got several reviews that we’re working on writing, filming and editing that we hope to go live within the next two weeks! With my free time being few and far between, just know that I’m working on the blog the best I can. =) This is a very exciting and special time in my life, so my second true love of disc golf is getting the back burner for the next few weeks. Ha! Thank you to all of our loyal fans and friends out there for understanding and keeping up with the crew! Many good things will be happening to/on the blog in October and the following months. Get ready. And don’t forget to..Blog the Dog!